Employee handbooks are called different names such as procedure manual, employee manuals or policy manuals. They play a big role between the employer and the employee. Most of the time people don’t pay attention to employee manuals because they believe they contain complex terms which are not clearly understood by them. In order to protect the rights of both the employer and the employee, an employee handbook is necessary to outline the duties of the employees, the responsibility of the employer and all the rules and regulations that govern a particular employment contract. Most experts reveal that an employee handbook can help avoid a lot of possible litigations between employer and employees, it help employees understand the expectations and policies of the company they’re working for. One of the main aims of drafting employee handbooks is to educate the employee on his responsibilities and how to perform his job effectively. When things are documented for you it becomes easier for you to do things properly. We all feel different at new jobs because you’re meeting new people, new office and other jargons that you don’t just really understand. Things can be entirely different from your former workplace. When you arrive at your new workplace you may have a lot of questions in your head and most of the time your colleagues are busy doing their job, therefore they don’t have the time to attend to your questions. With a good employee handbook you can get answers to most of your questions very quick without the need to ask someone. You don’t necessarily have to read the employee handbook all at once, you can just use it for quick reference to get what you’re looking for quickly. Later on at your spare time you can then go through the manual and discover all the company’s’ policies. Without the employee handbook you might end up asking the same question over and over again. A lot of people will get bored when you ask them the same question multiple times. With your employee handbook, you get a straight answer to a question like; the number of vacation days every year, rules on conflicts or national holidays paydays. Instead of asking such questions every year, you can refer to the employee handbook whenever you want without bothering other people to tell you. 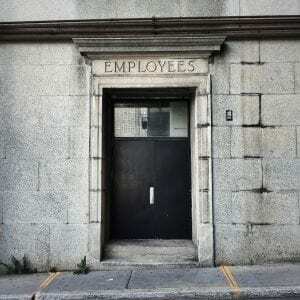 What Should You Include In Employee Handbook? Before any company or business drafts their employee handbook they need to be familiar with the law first, there are some terms and conditions that have to coincide with the federal laws. Your employee handbook must comply with the federal, state and local employment legislation. The United States Department of labor has already revealed the terms for employers governing workplace issues at its website dol.gov. If your business operates in different states you have to draft an employee handbook for each state, this is because most states have different laws governing employment issues. If you don’t know federal laws governing employer and employee relationship it is better you hire an attorney who specializes in this field to draft the employer manual for you. If your company also has a different business unit you have to address such units with different policies, which means each section of your business might need to have a separate employee handbook. Issues such as wrongful termination can be more complex with a bad handbook. * No Contract; Employee handbook is just a handbook, it’s not a promise to anything, you should state in your handbook that this manual isn’t a contract, implied or express, and does not provide any guarantee of employment for the long term. * Policies in the handbook are subject to change over time. You need to put this statement because new things might come up for your company and you need to make revisions from time to time. * All your employees should sign to your acknowledgment page and should be included in the employee’s file. There are a lot of other things to include which aren’t mentioned in these articles, you should do your homework carefully and seek professional advice before compiling your employee handbook. Every employee should check out their employee handbook because it is a good reference to explain rules and regulations in the employee handbook, or employees may end up not knowing and end up using the wrong policies for the company. Our North Central Florida law firm can help employers and companies to draft employee handbooks that are in compliance with federal laws. Contact us now for a free consultation so that we can help you.